Dubai’s tower rents have remained flat in the first half of this year, making them seven times cheaper than Hong Kong, the world’s most expensive city for leasing offices in buildings more than 30 storeys tall. The emirate’s tower office rents averaged US$44 per square foot compared with $304 per sq ft rent for a similar space in Hong Kong, says a report from the consultancy Knight Frank. The city ranked at 18 out of 23 cities surveyed. 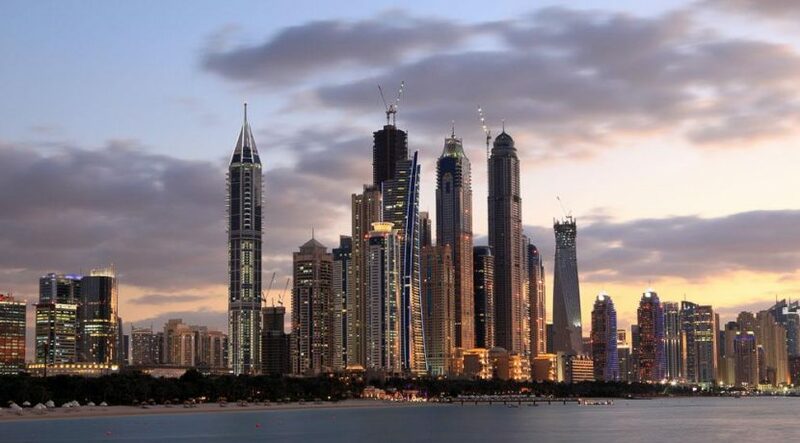 Dubai’s tall building rents had the sixth most competitive rates in the first half. Hong Kong is followed by New York, San Francisco and London, while Toronto’s towers have the highest rental growth rate, increasing 11.9 per cent in the first half of this year. Dubai is also faring well in terms of cost of office space in the technology and creatives districts. Rents in Dubai’s Media City free zone are $43.55 per sq ft, less than half of those in London, ranking it at 13 out of 29 districts surveyed. Shoreditch in London was the world’s most expensive tech area at $90.75 per sq ft almost on par with rents in London’s main financial district.